Fountain of Woof | Unleash Their Inner Pup! Where older dogs “unleash” their inner pup and feel years younger by getting the medical care and nutrition they need even if their loving family can’t afford it. Veterinary care costs can easily wipe out a families savings in just one visit. Especially since American families today find it harder and harder to save anything at the end of each month. No dog should suffer in their last years on this earth just because their family can’t afford the veterinary costs. And, often times a dog’s ailment isn’t covered by their pet insurance plan due to breed or greed. My biggest fear growing up and still to this day is that one of my dogs will need medical attention that I can’t afford. I couldn’t imagine having to make a life and death decision based on the money when it came to my pet’s well-being and quality of life. There are many charities out there for animals and sadly, a lot of the money goes to overhead. Fountain of Woof is different. 100% of the overhead and time dedicated to run the organization is selflessly donated. Towards helping a family navigate all the information out there and support them in education & making tough decisions. Or, cruelty-free research to prevent future disease and suffering. We will have some fun too. We will provide informational posts on all things doggie related from nutrition to the best dog-friendly restaurants. Fountain of Woof is also a place of comforting support for those going through the illness or loss of their best friend. 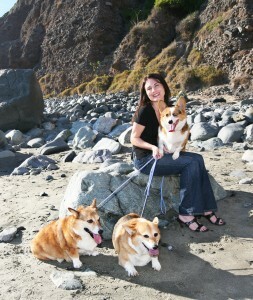 We help pet parents navigate through the tough decisions and offer a community to those grieving. I know I felt so alone and completely lost when I lost my little Latte. And then Starbucks was struck with cancer, I had so much trouble finding the information on the internet to make informed decisions about his care. Let us be inspired by the unconditional love that dogs give to us their whole lives and give back to them when they need it most! While You Are Here, Don’t Forget to Join Our Pack! 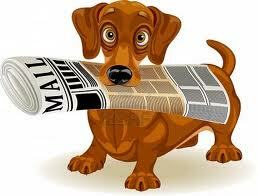 Subscribe to our eZine "Twilight Bark"!